Telemedicine is a new and exciting way to expand the capabilities of medical facilities and clinics by lowering logistical barriers that may inhibit some patients from receiving accessible healthcare. By using Internet connected technology, different channels of communication are created and building personal treatment plans becomes easier. Due to the increased use of telemedicine initiatives, an influx of job opportunities have opened up for clinical healthcare and patient services, as well as information technology.According to The New England Journal of Medicine, both urban and rural areas are being positively affected by the use of digital communication in healthcare. The U.S. Department of Education reported that skill-based careers are developed as demand for telemedicine increases, and the government has invested millions of dollars to ensure that interested individuals receive adequate training. By using online and community college-based programs, aspiring health IT professionals can develop skills and expertise for operating telemedicine networks. Workshops and other education programs help interested individuals quickly become a part of the telemedicine industry. The NEJM stated that telemedicine can allow specialists at universities or within larger healthcare networks to expand their offerings to new patient bases in underserved areas. This includes remote or rural communities as well as inner-city neighborhoods that may lack robust medical infrastructure. Within these communities, new jobs are created at clinics and other smaller institutions to help connect patients with doctors through telemedicine portals. A seasoned clinician may be necessary to manage the overall implementation process during a pilot phase, but from there, a support staff will be required to sustain the program and keep operations running smoothly. Digital telemedicine may create a number of new jobs. Employment opportunities based in technology management or equipment management are also opened up by the adoption of telemedicine technology. Clinics may additionally hire individuals to help with administrative operations or healthcare services. In other areas, patient liaisons that speak multiple languages may also be helpful. The Missouri Times found that expanding telemedicine technologies to countries around the world brings about similar employment opportunities. For example, over 22,000 jobs have been created in Columbia following the adoption of new telemedicine initiatives. Not only have healthcare capabilities improved, but the communities they serve benefit from new opportunities as well. In the past, doctors may have driven miles to visit rural or remote patients, but by creating a network that employs paraprofessional middle-men, not only are physicians empowered to treat more patients, but new jobs are created along the way. 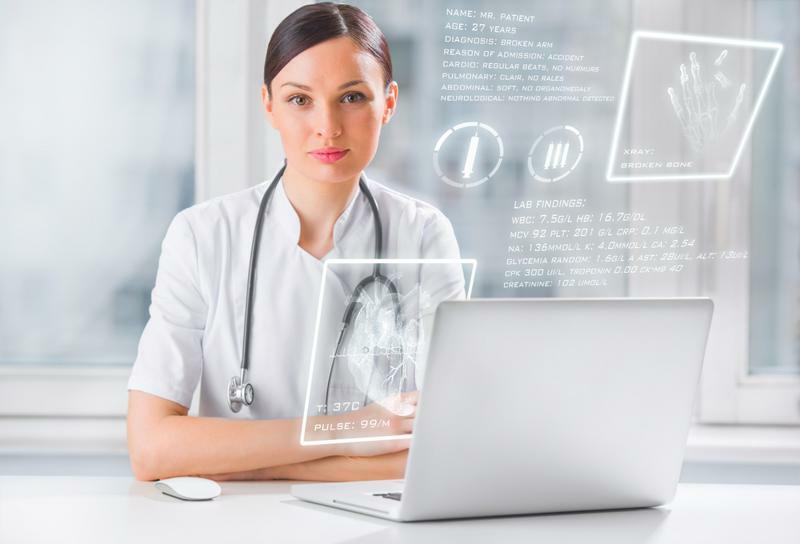 "Entire employment pathways may be created as a result of the telemedicine industry." The U.S. Department of Education reported that in these rural areas, major hospitals may serve as the largest source of employment and offer some of the few high-skill jobs. The adoption of telemedicine at clinics and other smaller healthcare facilities helps to grow employment opportunities. Both health science and information technology are two sectors that are not only in high-demand, but are expected to grow in the coming years. The University of Pennsylvania stated that creating sustainable job growth requires opportunities that will be beneficial today, as well as ten years from now. The market for telemedicine is expected to grow at an annual rate of 32 percent through 2018, according to the Institute for Healthcare Consumerism, bringing news jobs and careers along the way. By bringing telemedicine to rural and remote areas of the country, not only are new job created, but opportunities to grow and expand are imported as well. Community members are afforded new ways to advance in a career without having to move to a city or out of state to do so. Entire employment pathways may be created as a result of the telemedicine industry, which is important for areas struggling with unemployment.